Stefano Scarampella is one of the more modern Italian violin makers whose name has made it into the ranks of the illustrious few for the quality of their work, making them highly prized and much sought after instruments. 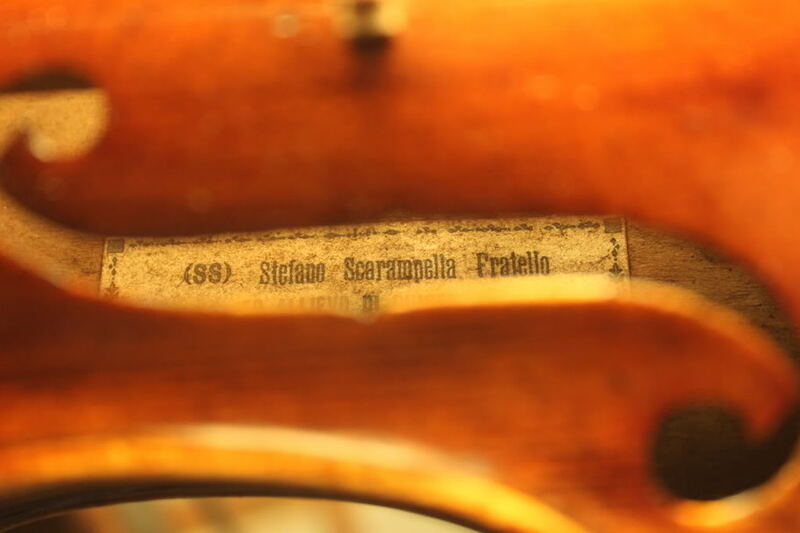 Stefano was born in Brescia into a family of violin makers in 1843. He had an elder brother Giuseppe who studied under Nicolo Bianchi, a very highly respected maker from Genoa who plied his trade from Paris. It is also said that Giuseppe had associations with great names like Ceruti, Guadagnini and Pressenda. Giuseppe established himself in Florence where he worked for Luigi Castellini. Giuseppe was regarded by Stefano as his teacher and obviously held his teachings in high regard as he always acknowledges him on the labels of his instruments, referring to himself as ‘Stefano Scarampella, fratello ed allievo di Giuseppe’ (‘brother and pupil of Giuseppe’). Stefano took up residence in Mantua in 1886, remaining there until his death in 1924. There had been little violin making in this city since the early 1800’s so Stefano faced no local competition there. The last maker of note in Mantua had been Giuseppe ‘Dall Aglio, who died in 1840. His work seems to have had little influence on Stefano but earlier Mantuan makers such as Camilli and in particular Ballestrieri can be seen reflected in his instruments. Stefano was a prolific instrument maker with an estimated 800 to 900 violins, violas and cellos being produced by his death in 1924. As with many makers of such large numbers of instruments this left little room for grand refinement in finish but that should not detract from the obvious quality of construction and resultant excellent tonal qualities that the violins of this maker consistently have, which will be of much greater importance to the musician looking for an excellent sounding instrument. Henley’s likens his violins to Stradivarian models but others have referred to him following the measurements of the bold late Guarneri models and in particular the very famous 1743 ‘Cannon’ of Nicolo Paganini. The soundholes are certainly most often found to be of a Guarneri style, and the arching is usually fully developed much like Paganini’s ‘Cannon’. The wood used by Stefano is mostly plain but not unattractive for that, usually locally grown so only of modest quality. For the purfling he used a combination of pearwood and poplar. 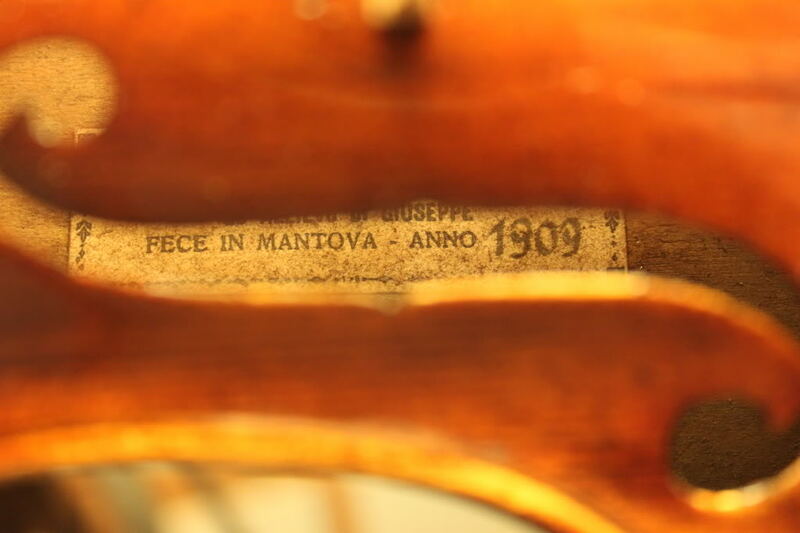 The head is one of the most distinctive features of Stefano’s violins and in them the influence of the earlier Mantuan maker Tommaso Ballestrieri is quite clear. He obviously took great pride and care in the production of this facet of his instruments. The head has both strength and symmetry. The scroll is concentric, round and has a final turn that is slightly truncated, whilst the channelling and undercutting is flat and the chamfer on the broad side. There is fluting towards the front face around the throat, a definite characteristic seen in the scrolls of Ballestieri. 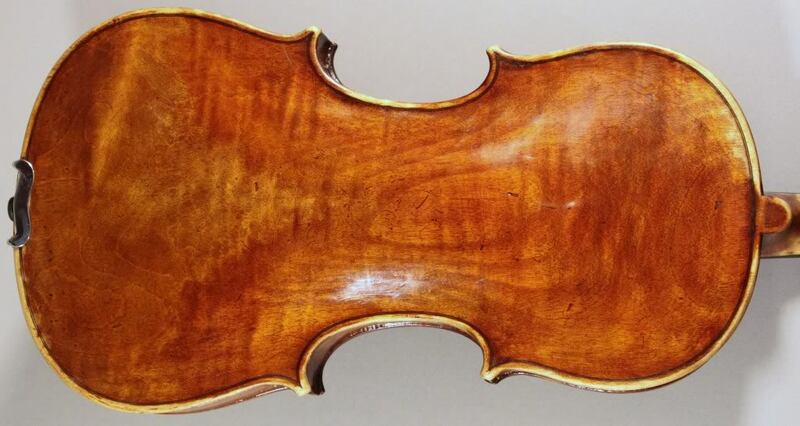 The similarities between the violins of the two makers do not end there, with both producing a strong masculine type of violin and some of Scarampella’s violin have been found that have been re-labelled as Tommaso Ballestieri’s work. 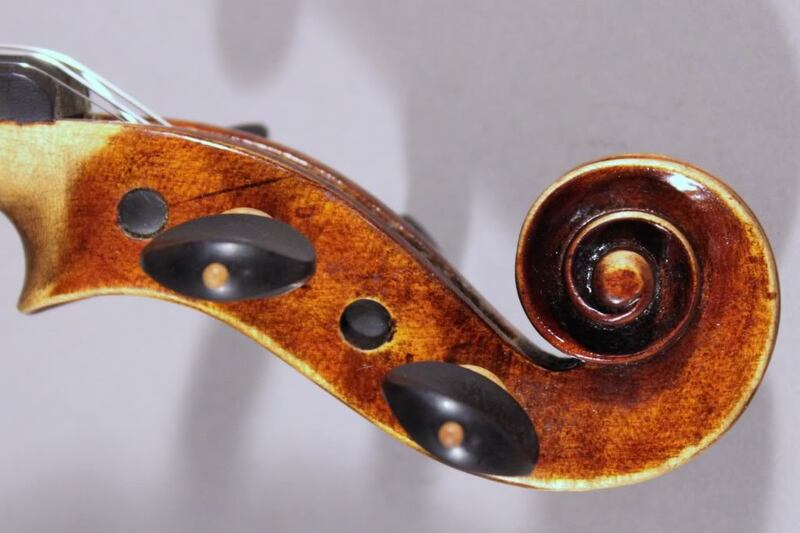 Scarampella’s violins are generally finished in a varnish that is modest in colour but with a richness that is very pleasing, and of a rust red or brownish tone. Application of the varnish is usual very good and on the slightly thin side rather than overly thick. There are two known students who learnt their trade from Stefano and continued to produce violins very much in his style, with the best known being Gaetano Gadda. His work is particularly like that of his teacher, to the extent that it is not difficult to confuse them. 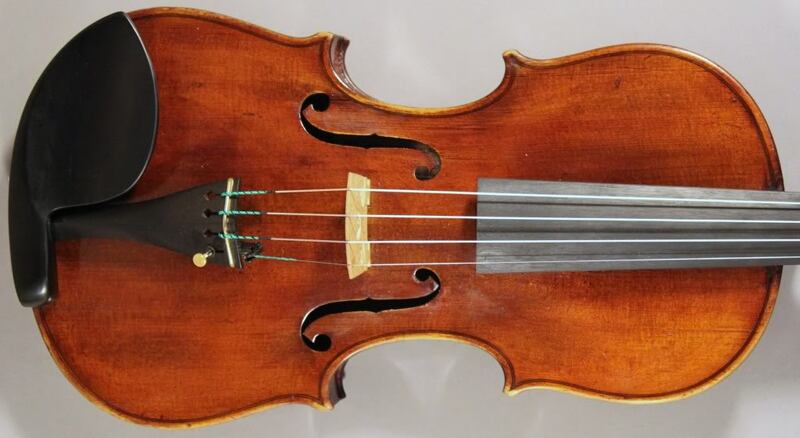 When you hear a Scarampella made violin there is no mistaking their quality, musicality and fine tonal attributes. It is easy to understand why they have become so sought after and attract good prices to match. In the words of John Dilworth “Stefano Scarampella has a fine and enviable reputation for tone. As a craftsman, he was solid, even perhaps a little rustic, but there is no denying that the strength and resilience of his work has matured over time to produce a richness and power in tone quality that has pushed them high into the ranks of desirable and collectible makers.” In the eyes of the purist Stefano’s instruments may not be pieces of fine art but they definitely are for the ears of music lovers and musicians.